The Tax Cuts and Jobs Act of 2017 changed the exemption from Federal Estate, Gift, and Generation-Skipping Transfer Taxes starting in the year 2018, and which will run through 2025. When the House of Representatives began working on a tax bill, its members originally contemplated a complete repeal of the estate and gift taxes. This was not to be. 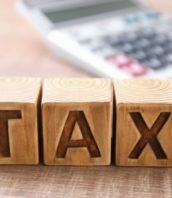 As a compromise, the final version of the Act (as signed into law in December 2017) temporarily doubles the estate tax and gift exemption, as well as the generation-skipping transfer tax exemption, plus adjustments for inflation. For gifts during lifetime or as a result of death in 2018, the lifetime exemption for an individual is $11,180,000, or, for a husband and wife, $22,360,000. This exemption amount will increase each year for inflation (although at a slower rate than had been used to compute inflation adjustments under prior law). The unused exemption of a spouse may be “ported” to the surviving spouse, so that the surviving spouse may take advantage of the deceased spouse’s unused lifetime exemption. In 2026 in the absence of legislation making these higher exemptions permanent, or earlier in the event of legislation repealing or modifying these higher exemption levels, the Federal Estate, Gift and Generation-Skipping Transfer Tax exemptions will revert to what they would have been under the prior law. Had there been no law change, the exemption would have been at least $5.6 million in 2019, so it is expected that the exemptions would be somewhere around $6 million if the current exemption level is permitted to sunset. Once taxpayers exceed the exemption, any amounts gifted in excess are taxed by the Federal government at a rate of 40 percent. New Yorkers need to engage in estate planning in which they not only take into account the Federal Estate, Gift and Generation-Skipping Transfer Taxes, but also the New York State Estate Tax. The New York State Estate Tax was not affected by the change in Federal tax law. For estates of persons dying in 2018, the exemption from New York State Estate Tax is $5.25 million. However, for every dollar in excess of the exemption, up to 105 percent of the exemption amount, the tax is in excess of 100% of those additional dollars until the entire exemption is lost. In addition, unlike under Federal tax law, New York State does not have portability, so that if one spouse has unused New York State Estate Tax exemption, it is lost. Moreover, New York, unlike the Federal government, does not have a gift tax, but, for the purposes of computing the estate subject to the New York State Estate Tax, gifts made within three years of death are included in the computation. Because of the expanded Federal Estate, Gift and Generation-Skipping Transfer Tax exemption through 2025 (or for a shorter period if the law changes), plus the lack of a New York gift tax and far lower New York State Estate Tax exemption, this may be the perfect time for some New Yorkers, with the guidance and assistance of a New York estate attorney, to make gifts. It is anticipated that regulations will be promulgated which will protect those taking advantage of the current Federal exemptions from being taxed later if and when the exemptions become lower. So, depending on your individual circumstances, this may be the perfect time to make gifts to meet financial, tax and estate planning goals. The advice of a New York estate attorney can help you design an overall estate and gift strategy to make the most of your assets. Goldfarb Abrandt Salzman & Kutzin’s attorneys have decades of experience helping New Yorkers develop estate planning strategies that best meet their financial goals. We will review your individual situation and develop the best course for your estate planning. Call (212) 387-8400 today to schedule your initial consultation.